Do any of you ever feel embarrased to tell other boaters that you have a bayliner? I mean, non boating people don't really know the difference, but I know Bayliner has a bad reputation. Mine has been great for me for the last 3 years. I bought it used and really haven't had many problems with it at all. I think you have a great boat & a good value for the Money- whats wrong with that? Nothing, I suppose. I just hate that I can't be "proud" of my brand like I see with some other brands - Chriscraft comes to mind. The justifiable bad rap for BL came in the 80's along with the KIA auto. I see folks fishing them all the time by the James River Bridge which for the sake of argument is the mouth to the Chessie. There is a fellow at a marina I frequent during the summer. He has a 2000 or so 28 footer with a hardtop and a diesel sterndrive. At a 17-19 knot cruise he gets something like 3+MPG. I know folks who make the run from FTL to the islands all the time in 2655's and 2855's. Perception / reality thing. Those who realy KNOW, know what's real. I can think of many examples of a perceived quality brand that was in some cases a real POS. And I can think of more examples of overpaying for a brand when there is really nothing better about it. Enjoy the boat, you like it so who gives what some think. "Do any of you ever feel embarrased to tell other boaters that you have a bayliner? " In 2001, I had purchased a new 2456 Ciera Classic, I loved the look of the boat and everything about it, I was so proud and happy to have this boat. When people would ask me "What kind of boat do you have? ", and I then said: a 24 foot Bayliner, I would get strange looks, looks like a was a fool to have bought a Bayliner. It did take the wind out of my sail at first, but after time went on owning the boat I did not care anymore. At least you guys own a boat that is known in this area. My first boat was a 22' Ebb Tide, which no one on Long Island ever heard of. I tried selling it for 2 years, while I owned a second boat, a 280 sundancer. After 2 years, I gave the Ebb Tide to charity and wrote off the loss. Sad thing is, it was a well built boat in white bluff tennesse, that we had,a ton of fun on. Had I owned a bayliner, it would have been sold. Live and learn. walterv, that's exactly what I'm talking about! Nope!! And it's paid for! No offense to anyone with any brand, but I think that I'd probably buy a Bayliner over a Sea Ray of the same size. Initial cost isn't as high, depreciation is as steep, you know you're not buying a "Cadillac", Sea Rays are typically hard to work on...no room for me, and I've seen less structural issues on surveys with Bayliners. In my opinion...nothing wrong with any of that. Plus...Bayliner NEVER made a fully cored hull. Personally, the only bad rap I've ever heard of about Bayliner was from the 80's and mostly involved their smaller boats; bow riders and such. I've known a number of folks who have owned their larger boats, especially diesel powered, and have never heard any brand complaints at all. I agree with you that a lot of Searays are very difficult to work on due to access issues, but comparing a SeaRay to a Bayliner is like comparing apples to oranges. I say this because SeaRays are way more expensive than Bayliners, in some cases you could buy two Bayliner boats for the cost of one Searay the same size. I think it would be fair say that all manufacturers have had problems and bad boats, and all manufacturers have models that cause you to say "WTF were they thinking when they did this"
What I have found with Bayliner is the hull and the motors in most cases are equal to more expensive boats. Peripherals and hardware are of lesser quality and cheaper. Trim and finish is not the same as more expensive boats. Not everyone can afford a more expensive boat such as a Searay, Bayliner niche market is "entry level", much different than Searays market. Value wise, I don't think you can beat Bayliner. If money is not a consideration SeaRay is a real nice boat and IMHO, a pretty boat. I like both boats, but must say, and IMO, Searay has one of the best gel coats, I have ever seen. 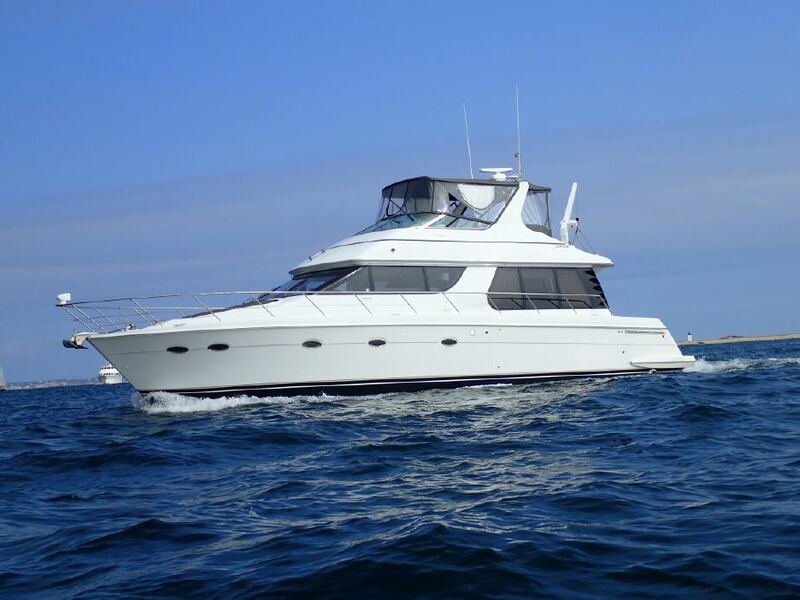 If you take boats of the same year, the Searay seems to have a better shine. I agree that my boat is definitely better than the reputation that precedes it, no arguement there, and you don't have to convince me that I got my money's worth. I'm just tired of having to defend it when others snub their noses at it. Kinda like my wife, I love her, and I think she's gorgeous, but I know others don't have the same opinion. When we go out to dinner, sometimes I get strange looks, like "what's that guy doing with HER?". I don't own one but never have I thought any less of someone who does. I really like the layout of the 285 and would like to own one my self. My first boat was a Regal 2150LSC and my current is the Wellcraft in my sig and I feel the Wellcraft is a better built boat than the Regal was. I know there is a size difference but the Regal always seemed to leak a little water in the haul. I contacted Regal about this and found that there were several areas that they had issues with this on that boat. My Wellcraft never gets any water in it except for the time I forgot to put the plug in it!!! I would own one if in the market and the right deal presented it's self. I enjoy the time spent with my family on the water more than worrying about what some one else might think about what boat I own. I never owned one, but have seen a few that are nice. I just don't like stern drives. If I was to get a stern drive, it would have to be kept on a lift or trailer. I have seen too many stern drives down here have issues with saltwater. berth and a separate shower. But our old Chris Craft is paid for and everything works. I am not brand loyal. I am loyal to dependability. I know what you mean,when someone asks sometimes I say we have a 28 ft express cruiser without mentioning the brand. In bayliners defense we have had 2 Bayliners,we had a 21ft capri for 5 years,never a problem and we sold it for $400 less than we paid for it.The 28ft we now have has had some bravo 3 and transom issues that were very expensive but for the wife and I its a great boat. Took our 98 2655 to Bimini from S. Florida five summers in a row. Even lead the BoaterEd Bimini run over in 2002. I will not detail the sea conditions (might attract a bit of skepticism, but suffice it so say that many turned back and we did not have to tighten a screw upon arrival). Never felt bad at all! I guess the first question I would ask is why would you care what others think of your boat? It is not their boat, it is YOUR boat; you are the one that enjoys it and they are the ones that talk about it. Pure and simple. I have a 1977 Bayliner Victoria Command Bridge; and I challenge any boat manufacturer (even today) to build a boat that has as much space and as much of a generous floor plan as my Victoria...and deliver it in a 28 foot boat! Bayliners have all of the problems of other boat manufacturers of their respective eras. You're buying the boat and not the brand. It is more embarrassing to say, "I'm broke down" than it is to say what brand you own. Just as many Searays break down as do Bayliners. If it floats and Im happy with it, I dont care who made it. . I have owned 3, a 2850, a3288 and my present 3988. I have also owned Chris Craft, Silverton and Tiara. the 441 very much plus it is 8 inches smaller than the maximum allowed in my slip. I've owned 2 Bayliners and would not say I am embarrassed at all. I love my boat and anyone that snubs their nose at it is either uneducated about boats or is just an a** and I could really care less what they think. In 10 years of Bayliner ownership I have only been left waiting for a tow one time when the coupler went. Some people can only afford to own a Bayliner. Certainly not a brand I would own! My first boat was a Bayliner. After I put a hole in my skull from the screw that was sticking thru the deck into the cabin I realized that it was a real piece of crap boat. Just curious but how does that happen. How do you not see a screw protruding far enough to I more you? More importantly buy a boat if you did see it? The screws were holding the horn to the deck covered by the fuzzy crap they call a headliner. "It is more embarrassing to say, "I'm broke down" than it is to say what brand you own. Just as many Searays break down as do Bayliners"
"I've owned 2 Bayliners and would not say I am embarrassed at all. I love my boat and anyone that snubs their nose at it is either uneducated about boats or is just an a** and I could really care less what they think. In 10 years of Bayliner ownership I have only been left waiting for a tow one time when the coupler went." Again, power plant issues, not a brand issue. Ive never been impressed with bayliners smaller boats. I was at a show once (tobay) and they have a 24 or 26 "aft" cabin express cruiser there. The fiberglas was so thin I could see the shadows of people OUTSIDE the hull walking around while I was at the Dinnette. But I suppose I am uneducated. I almost downsized from my Mainship to a 2859 Bayliner. I looked at a few. I even found a few with a diesel power plant. I could care less what other people think of the boat. It's what my wife and I would want and enjoy. The larger Pilothouse Bayliner diesel yachts are real nice. I know the threads a bit old but I wanted to comment. If they give you that look then don't let them ride.